I open this article with a confession; I love to mow the grass. It’s an odd love I know but the feeling of the mower engine shaking the handle in my hand, the contrast of where I’ve mowed and where I’m going to mow, I love to see it. The feel of finding new bumps in the yard that weren’t there last time I mowed, the smell of the freshly cut grass. To me mowing the lawn is one of the more relaxing things I have the chore of doing when I’m home. I also find that above the noise of the mower this is the perfect time to apply the final and most important of the 11 disciplines outlined in Godology; Practicing God’s Presence. Why does mowing the grass allow me to practice God’s presence? Because when I go out and mow the lawn I get to do it with God, meaning I get to spend that time with Him. In 1 Corinthians 10:31 Paul exhorts the Corinthians to “Do all things for the glory of God.” When you look at this discipline and then consider all the others they are all designed to help us discover the mystery of God. So when I say that I can practice this discipline while mowing I’m saying that while I’m doing that I’m doing it for the glory of God. But more importantly I’m thinking or meditating on the things of God. I get to walk in silence (although lawn mowers are not quiet) and apply Philippians 4:8 and think on what is good, right and pure. I get to be by myself and retreat into God to experience Him and through experiencing Him, know Him. Christian George writes to us on this discipline; “The Discipline of God’s Presence trumps all other disciplines. It is the ultimate aim of Solitude, Silence, Hospitality, Meditation and all the other disciplines. To incorporae God’s presence in life’s routine’s is the highest goal of the Christian” (153). Based on what George said above we can say with a great deal of certainty that all the disciplines have been building to this one. That is, everything we’ve discussed for the past 7 weeks culminates in this one discipline. Prayer allows us to talk to God, Obedience is our acting on what God tells us, Labyrinth Walking gives us a new outlet to experience the presence of God, meditation helps us focus on the things of God. Solitude removes us from the world and helps us retreat into to God, silence allows us to listen so we know how to obey, Fasting, allows us to give up the things that all too often distract us from God. But all of these come together when we enter into the presence of a Holy God and really get to know Him. The tagline for this blog is “Because knowing God’s Heart changes everything” it’s a variation on the tagline from George’s book which is “Because knowing God changes everything.” When we retreat into God, when we practice His presence in everything we do it really does change everything. Mowing the lawn goes from being a task to an expression of love for our savior (and our families) Cleaning the house becomes a chance to dive into the character of God. Once we get to know the greatness of God and discover the mystery of God nothing will ever be the same. When everything new we find ourselves set apart. By that I mean that applying these disciplines will change us, transform us, help us to mature beyond our wildest dreams. We’ll find that our desires change, our hopes change, our dreams change, our personalities change or become more pronounced. To share my personal story, as I’ve been writing this series I’ve been checking to make sure that I’m applying these disciplines. As I’ve worked to make sure that I myself am beyond reproach I’m finding that I’m getting to know God better. I’m finding that the old man doesn’t have authority in my life. 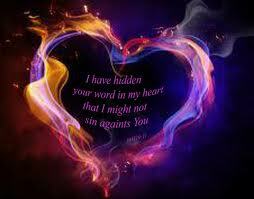 That as I apply these disciplines my heart has been transformed. God’s presence has really permeated my soul and I now know what it means to have him dwell inside of me. This change I’m describing is really cool, I now have a new direction for my life, things are completely different. Now I will say that not everyone will have the same experience, but when you dive into God you will have a similar one. God is great and I pray you get to know that greatness and discover that when you think you’ve gone as deep as you can go you can still go much deeper. This has been my prayer for you as you’ve read through this series. That you would get to know God more, that you would discover His mystery and then allow Him to change and transform you. God’s presence is huge, He really is greater than the greatest conceivable being. So as you go I pray you meditate and think about these disciplines that you’d also apply them. That you too would experience the change that comes from knowing God, and that His word and His presence would permeate your life and your actions. I love hearing my friends reaction when I tell them what time I generally wake up in the morning. Not that I am boasting in my 5:30am average wake up time, one just has to give an answer when they are asked what time they get up in the morning. The truth is that I never wanted to wake up that early, the combination of hyperactivity and an inability to sleep if the sun was up caused me to get up long before it ever thought about coming up that day. To say that I want to get up that early would be crazy, what I did with that time was even crazier. Usually I would sneak around the house, at least when I was really young, then later I would wake up and get on the computer and play some sort of video game until I heard mom or dad walking around upstairs. In college I would put my headphones in and try hard to not disturb my roommate. When I returned from Denver though I felt a need to do something very different with that time. so I made a promise to God to spend it with Him in prayer and in study of scripture. Whenever the Israelite’s broke their vows with God something bad generally happened (read 1 Cor. 10 for a summary). Another example of what happens when we break out vows can be found in the story of Samson (Judge 113-16). God told Samson’s mother that no razor should come upon Samson’s head and he would deliever Israel from the hands of the Philistines. This is where we get the idea of a Nazarene Vow, because Samson was a Nazarene and so he couldn’t cut his hair. Now in Samson’s case cutting his hair meant that he would lose all of his strength which he did when Delilah (his wife) tricked him into giving her the secret to his strength. Samson is a great example of what happens when our vows are broken, whether by us or by those we love. Now we all know that Samson’s hair grows back and he does eventually do what God said he would do and free Israel from the Philistines. If I don’t get that time that I’ve vowed to set apart for God in the mornings then my day really doesn’t go very well. Unless of course the spirit allows me to sleep in that particular morning because I am in need of rest. Yesterday morning was one such morning where I didn’t get the full hour and fifteen minutes that I vowed to spend in prayer an din the word but I also had a final and a late night the night before so I continued reading in the book of John, wrote in my journal and got my day underway. The vow I made was specific and personal, and God has honored that vow, making sure that I myself honor my vow. I have several friends who have committed themselves to sexual purity, who have made a specific vow that they are going to save themselves for their husbands and wives. When they are in situations where those vows might be in jeopardy it seems that God steps in and holds them to that vow they made and I believe can even remove us from positions where we may be forced to compromise. When we honor our vows God honors us, God continues to honor his covenant with us despite our tendacny to disobey, shouldn’t we honor our vows and oath with God. I wonder what would happen if we were to make and keep vows to one another. Meaning that Christians in the body of Christ were to go to one another and instead of making vague promises to one another actually vowed to love and support each other. Then we work together to keep those vows and to help keep our weaker brothers and sisters from stumbling as well as working together to help others keep their vows to God. An example of this would be a dear friend of mine who doesn’t text or like to talk to guys 1 on 1 after a certain time of night. As a man of God I have to honor her decision and help her to uphold that promise she’s made to herself and to God so I have to be conscious of the time if I am talking to her or texting her so that I can honor that. If we did things like this it would probably make us more conscience to the needs and hurts of the poeple around us because if we vow friendship we are vowing to listen, support, love and serve, all the things that come with a healthy relationship with someone. If I make a vow to serve the 10:31 Life Ministry team I had better serve them to the best of my ability. Figuring out how to do this is tricking and I have to admit I haven’t fully figured it out yet. So let’s make vows and keep them, practice making them this week, make a vow to spend more time with God through intentional study of scripture. Make a vow to maintain or re initiate a friendship and allow God to work in that situation. 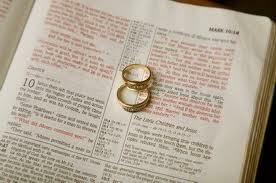 Then be faithful to your vows and know that God will be faithful and honor your vows as well. I sat at the table in a state of near panic, what had I just agreed too, could I do it. I had just told my friend Ashley I was going to give up sweets and desserts for Lent. The worst part was that she was doing the same thing and told me she’d hold me accountable to that. No candy, no cookies, no brownies, no ice-cream…how was I going to survive. I’d heard of dad trying this before, did he make it? I wasn’t sure. So I set out to fast for 40 days and it was the hardest thing I’ve ever done…or should say that I tried to do…I didn’t make it and often found myself renewing the fast. Now that doesn’t mean that we can’t let people know that we are fasting, but we should never boast in our fasts. In fact boasting our works is never a good thing to do (see Romans 3&4). The point is to spend that day focusing on God, instead of what you have given up for your fast. George writes to us; “Fasting returns the worship to God we offer to food. In our food saturated culture, I believe it is the single most neglected Discipline. And the most needed to, in my own limited experiences, fasting exposes my strenuous death grip on the things of this world. It’s teaching me to reevaluate my priorities, and how I spend my energy” (62). Fasting doesn’t have to stop at food, it can be anything that might have become or has the potential to become one. Fasting can be from technology, it can be from listening to music (great time to practice silence). The point is that we should fast something in our lives, there’s nothing wrong with a good Facebook or Twitter fast so long as we spend that time with God. There’s a blessing to be found in turning off the cell phone for awhile and only using it for emergencies, something beautiful can be found in spending two months without Facebook like my friend Jayleene. 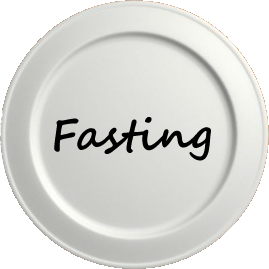 Fasting is a tough discipline, I don’t know if we can ever really master it but it is one we need. It allows us to give back what we have taken from God, to surrender out lives and our futures and the things that hold us back from our relationship with Him. To evaluate where we are with Him and how the stuff of this world might affect that relationship we have with Him. I shared with you in my earlier blog post entitled “Discover of Noise” that I am a loud person. I enjoy noise, I have music on right now as I’m typing this article on Silence. I had spent a lot of time hearing about this discipline, even read about it in George’s book about a month earlier but it was never one I was very good at. That morning Greg challenged me to spend a week in silence, I remember walking back into my apartment and slamming my fist down on the counter, who was he to tell me to spend a week in silence. Then I stopped and I prayed “God is you want me to do this then let me know and I’ll do it”…I didn’t like God’s answer. I decided to obey though, knowing deep down that this would be good for me, how good I didn’t know, but somehow it would be good. I made it through the first two days, but on the third I woke up extremely depressed. Now I know I couldn’t talk, so I couldn’t tell anyone, this was God’s preparation for that time in the Labyrinth that I’ve described so many times. Silence serves two main purposes within the Christian Walk; Reflecting and Listening. These two purposes help us move closer to God and allow Him to work out the things in our lives that we are not letting Him work out as well as knowing who God is and what His will for us is in our lives. 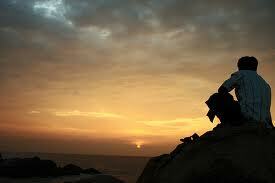 Christian George writes; “The discipline of silence is a natural reaction of God’s holiness. When we get a glimpse of who God is we find that His voice is deeper than out own. His words are worth listening too” (Godology, 62).This is certainly true, Isaiah gets to see God’s holiness and glory on full display in 6:1-7 and the only thing he can say is “Woe is me, for I am lost, I am a man of unclean lips and I dwell amongst a people of unclean lips, for my eyes have seen the Lord of Hosts” (v. 5 ESV). Silence is humbling, as is God’s Holiness. I don’t think any of us would react differently to what Isaiah is describing if we were in the same situation. Another example would be driving through a thunderstorm, I find that the scarier the storm the quieter I tend to get, storms show us God’s power. So a few weeks ago as we were driving home from Formal I watched the sky in silence, occasionally offering something to the conversation, watching for one of the many Tornado’s we’d heard about. In those times of silence we really get to reflect and think about God’s Holiness. It gives us a chance to think about God’s awesome power, even looking back to see God’s power in our lives. 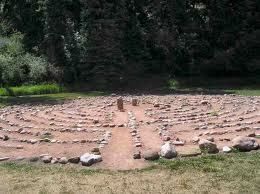 I love to sit and think back on that Labyrinth experience, think about how I encountered God on that mountain and how it has forever impacted and changed my life. I also think back to my salvation, on a cold concrete floor in Cleveland Ohio and how God has been working since then. In these times of Silence I get to really know God and His works, but I also get to listen. Listening is really hard, especially if we need to listen to instruction or to directions, listening to God is even tougher at times because He isn’t physically manifesting Himself before us. As much as I wish we could, we don’t get that Isaiah like moment where we get to stand before the most Holy God and hear Him audibly talk to us. Instead we have to come to a place where we have quieted our spirits, to a place where like the psalmist we can wait on the Lord (see Ps 130-131). In a world that is constantly screaming at us this kind of quieting our spirits can be even harder. We have to shut off the music, turn off the laptops, get away from our cell phones and forsake our social lives for a little while and really get away. There’s a reason Jesus told the disciples “But when you pray, go into your room and shut the door and pray to your Father who is in secret. And your Father who sees in secret will reward you” (Matthew 6:6 ESV). Silence requires us to go away for a while, Jesus does this multiple times, most often coming back with some where new for His Disciples to go. Silence and prayer are two Disciplines I believe should go together, when we pray we should be seeking, but seeking comes to fruition when we are quiet after that time. It’s so easy to pray and then get right back to our lives, but if we pray and listen than we have a better understanding of our mission and of God’s direction for our lives. Why is Silence so Hard? We won’t but George is absolutely right on this point, Silence forces us to deal with the things that we hold back. They come to the surface and we don’t want to encounter them, like Isaiah’s sinfulness was exposed in comparison to the glory of God so are sinfulness and strongholds are brought to the surface in those times. The kneejerk reaction of course is to run as fast we can the other way; the challenge is to of course not to. So this is what it comes to, to sit in silence before God, reflecting and listening. This is a challenging and frightening discipline, but as I discovered at the end of my week of silence it is extremely rewarding as it allows God to draw close to us and us to draw close to Him. Once those things it exposes are worked through we will find ourselves in a much better place, a quieter place.